I receive a lot of comments, FB messages and emails every day asking if there will be a 4th book in my Arotas series. The answer is YES, thanks to the overwhelming requests. EVERMORE will be the title of the 4th book and it will hopefully be out around Valentine’s Day. This novel will be more like a novella, shorter and more focused specifically on Gabriel and Roseline’s reunion. For those of you who have been wondering what happened in the 300 years BEFORE Forbidden, I am in the process of completing DESOLATE, book one of the prequel Immortal Rose Trilogy. You will have the chance to experience Roseline’s first moments after she awakes in the church, her torturous marriage to Vladimir, her brokeness as she is beat, mocked and abused and fall in love with Fane as he becomes her only reason to live. DESOLATE is currently without a release date due to my obsessing over adding in a few more chapters (like you are going to complain about more haha) and issues with creating a cover. Until the book is off for edits and I have a cover in the process I will not be releasing any firm dates but I can promise you that it is at the top of my priority list. 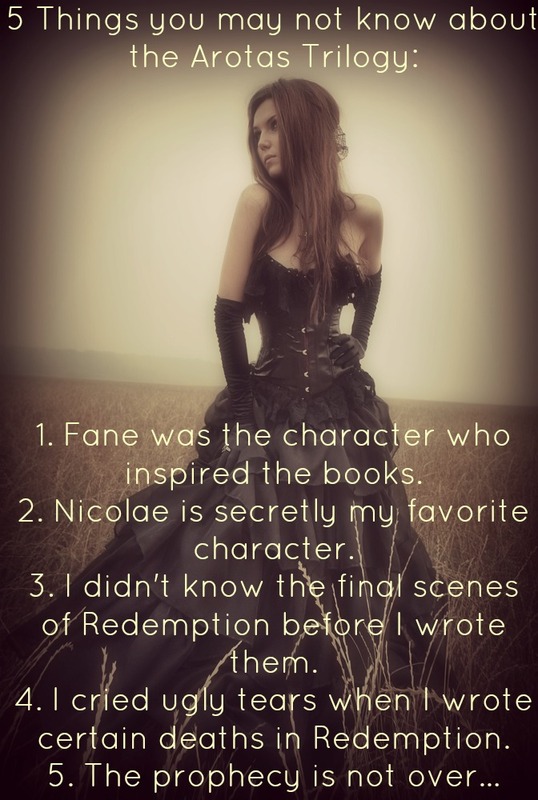 I adore these characters and I am so thankful that so many of you feel the same way. Fane? He is my favorite. May I ask why? Because it was in his nature to be sacrificial. There was no other end that would have been more filled with love than this. If you read the prequel trilogy that I am working on you will understand the depth to which he is willing to go for Roseline.